Hello there! I think as it is nearly the end of October (I know- this month has gone really quickly!) we can safely say that we are in the midst of Autumn. Although at times it may feel like we've entered into winter with all the rain and wind! Personally Autumn is my favourite season of the year, and I thought I would share with you a few reasons why. There's something wonderful about stepping out into a pile of freshly fallen leaves, and them crunching as you walk. 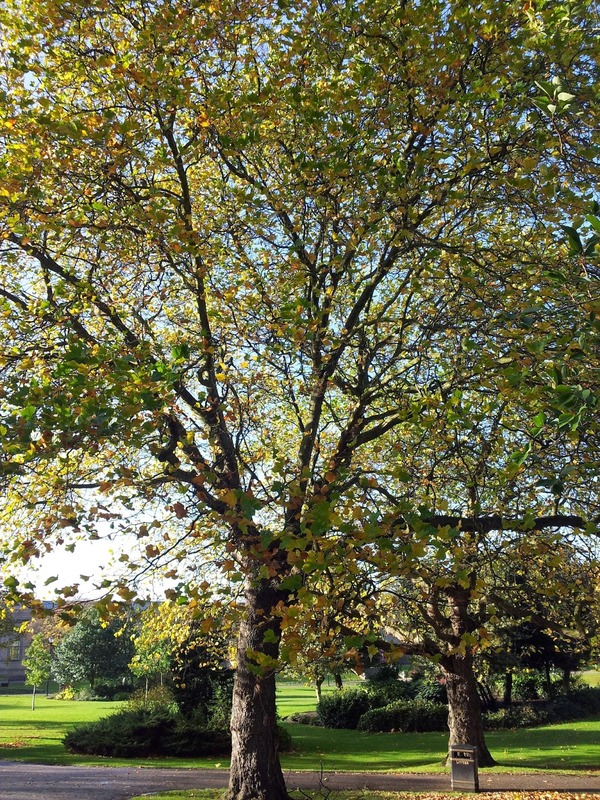 Although I do love seeing trees and flowers in bloom, I love the colours that they change to as Autumn hits- there's nothing better than walking through the park at this time of year and seeing all the shades of yellows, oranges and reds. If there is one thing that you should know about me, it's that I love knitwear! My wardrobe does mainly constitute of jumpers, I personally think that you can never have enough. I know a lot of people are sad when summer ends, and it becomes colder (which in part I am) but I don't mind as I know that I can now start wearing my jumpers again! There's nothing worse than having to walk to uni in the midst of the wind and rain. However, you get those lovely sunny days, where there's a crisp feel to the air, which immediately wakes you up and sets you up for the day! With Autumn, comes fireworks, especially on bonfire night. I remember as a child going out into the garden all wrapped up, to watch the fireworks (although I hated the noise that they make). Firework displays are great, but I love the moment where you just look out of the window and see them going off. Beauty-wise I love this time of year as you can crack out all the deep berry red lipsticks. Although it's not quite the party season yet, this gives a nod in that direction, and I just love how they look. I LOVE candles. I was so upset last year when we weren't allowed any in Halls! Although I love them all year round, this time of year candles just make everything look that much cosier! I really enjoy going to the candle shops and smelling all the different scents that are on offer. I find fairy lights quite similar to candles, they make everything seem cosy and lighten the room in a way that isn't just your bog standard light. They just make everything appear that more 'magical'. I took this walking through Weston Park the other day. Would you add anything to my list? What is your favourite season? Hello there! First I have an apology to make, in last week's post I said I would upload early on Friday, and it has now gotten to Sunday and I've done no such thing. It got later and later on Friday and I just thought, 'if I post on Sunday I can share what I did for my birthday!' so that is now what I can do! I had a busy week of doing work and writing essay plans, as I knew come the weekend I wouldn't be doing any work! One exciting thing that I can tell you, is that I have been accepted as a tutor for TeamUp! They're an organisation that work with schools to ensure that students get their GCSE pass in English, Maths and Science (obviously I shall be teaching English). I was really nervous for the interview, and I am so glad that I got in and I can't wait to get started. For the first time yesterday, I was away from home for my birthday. It was really weird in the morning facetiming my parents and not actually being there with them. I am going home at the end of this week though for a sort of 'second birthday'- I feel like the Queen! Tom and I went out to Cosmo for lunch which was lovely. It's a massive buffet, serving Chinese, Indian, Thai, English, Italian...need I go on? We then went to the cinema to see 'Love, Rosie' but on the way there outside of the Peace Gardens, we stopped to watch a group of dancers. At the end a man came out from behind and asked his girlfriend to marry him! It was so lovely! (I definitely think she said yes). I really enjoyed Love, Rosie, and I think Tom did too, but it's one of those films that is really depressing but has it's good moments! There were a lot of other couples in there, and the girlfriends were crying but I held it together. In the evening my friends came round for a mini party, and then we went off to Pop Tarts at the Student's Union. (If you don't know what this is, it's a club night where they play all the cheesy 90's classics!). There was a mini drama as I should have been on the guest list, but I had been missed off! Luckily after I explained to the woman that it was my birthday, and that I should have been on it, they let me in. I had a great night and would just like to say thank you to everyone that wished me a happy birthday! My dedicated point for my #52weeksofhappiness, is that I am so grateful to have so many wonderful friends. It was so nice for different groups to come together yesterday, and I couldn't ask for any better! I love you guys! Hello there! As Halloween is just around the corner, I thought I'd have a go at making some Halloween-esque cupcakes. These are great if you are having a party or a few friends over, or even if you just want to make something a bit festive! I also think that children would love to decorate these so you can get the whole family involved! For the actual cupcakes I used my cupcake recipe which you can read here. The only change I made this time was that I didn't use any cocoa powder and so I used the full 150g of self-raising flour. Onto the decorating! - Food colouring, I personally went for orange, green and black. As I made twelve cupcakes, and I had three different food colourings, I decided to make four of each. I chose to do a pumpkin, monster and frankenstein design. Hello there! How has your week been? I as always, have been very busy! Assessments are starting to be set, reading needs to be done, and it's my birthday next week!! ( I am SO excited, not so much excited about the turning 20 part though!!). The weather has been a real downer this week- always raining and always windy, typically 'northern' I suppose. If it didn't already, this week has really felt autumnal and almost wintery. So long sunshine and warmth! I worked on another open day this morning, it's crazy that those students will be freshers when I'm in my third year. As always, I really enjoyed being able to chat to them about their choices, and answer any questions that they had about Sheffield. I did not enjoy having to wake up at 7am on a Saturday though, I mean, it was still dark when I got up! The part that I am dedicating to my #52weeksofhappines this week, is that I was able to have a date night with Tom yesterday. Although we live together, as we are both so busy, lately it has been a rarity to actually spend a whole evening together just us. We visited our old haunt of Prezzo's (although the walk back was painful) and had our traditional meal; a bread board to share, Tom had a margherita pizza and I had a tropicana pizza, and Tom finished with a slice of chocolate fudge cake. It was lovely being able to spend some quality time together, and I will definitely make sure that this becomes more of a regular occurrence (albeit not always as a meal out!). Hello there! Today's post is an extension on my weekly #52weeksofhappiness posts. Recently I've noticed quite a few people going some troubles in their life, and whenever you watch the news, there's always something bad that has happened to someone. Something that needs to be remembered is that everyone goes through bad experiences, so you're not alone. I chose this quote, as always, from pinterest. I have this printed out and stuck on my wall as a reminder to myself. However bad a situation may seem, there will be some aspect in your life that is good and that you can focus on. Situations can be overwhelming and having something to focus on can help you get through. What you also need is time. Nothing is going to be resolved overnight, you're not going to go to bed upset and then wake up happy and refreshed the next day. Just give yourself time. Try to do things that will take your mind off what you're going through. Go out with your friends, and do things that you enjoy. Depending on your situation, you do need to give yourself time to deal with the situation. Be this through talking to someone, or simply through time by yourself, it's not good to push your feelings to the side- as they will eventually come out one way or another. I'm not trying to say 'this is what you must do' but this is what has helped through personal experiences. Just remember however bad it may seem, it does get better. 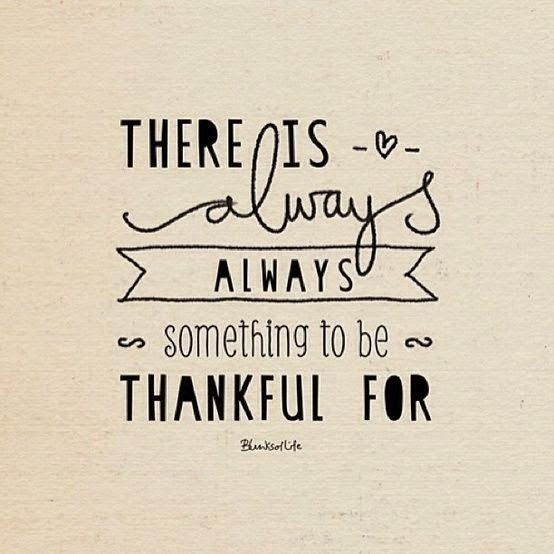 And as the quote says, "there is always something to be thankful for" you just need to look for it. 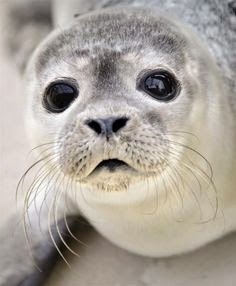 Hello there! How are you? I think I can safely say that from here on in I will always be saying 'this week has been a busy one'. It is good to be busy, but you need to remind yourself to have some 'me' time! I have had lovely catch ups this week, with old friends and new. One of the things that is different about living in a house rather than halls, is that everyone lives in completely different places, rather than in the same 'village'. Although I don't get to spend as much time with some people as I would like to, the good aspect is that when we do meet up, it's actually because we want to rather than just because we live near each other. 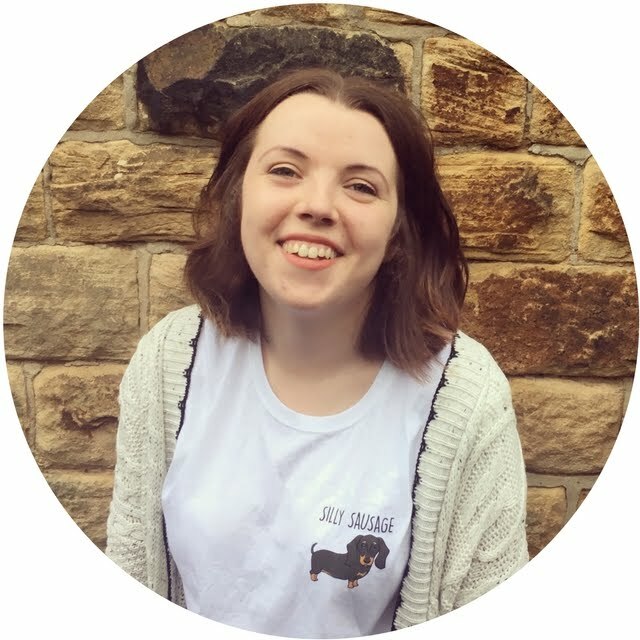 I have now overcome my cold that I was in the midst of last weekend, and if you missed my last post, you can read all about how actually becoming ill can be a good thing! Although I was over my cold, I did follow one of my points and allowed myself the treat of a takeaway! It has been so long since I have had one, and I really fancied a curry! I went with my usual of a Chicken Tikka starter, Chicken Korma main, with a naan bread and popadoms. It was so nice not to have to cook. I also had enough for another portion, so I didn't have to cook yesterday either! Last Saturday evening Tom's mum and brother were visiting as Lewis is now going through the process of looking at Universities and was going to an open day in Sheffield. 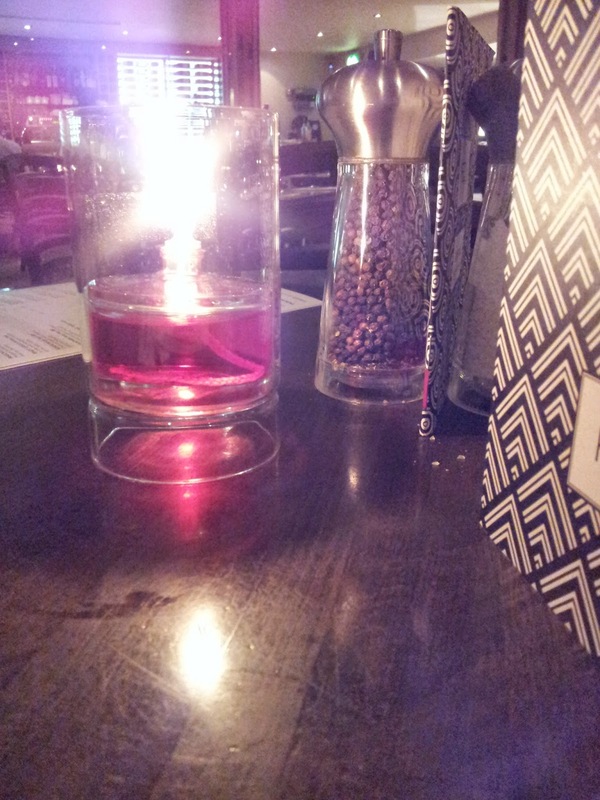 We all went out to Zizzi's, which I have been to twice before. It was a lovely meal and I really enjoyed spending time with non-Sheffieldy people in Sheffield! It's strange now that I know the place so well, to be with people who have no idea where they are going so we become tour guides to them. I really enjoy being able to do this, to share all the great parts of the city with someone who has never been here! 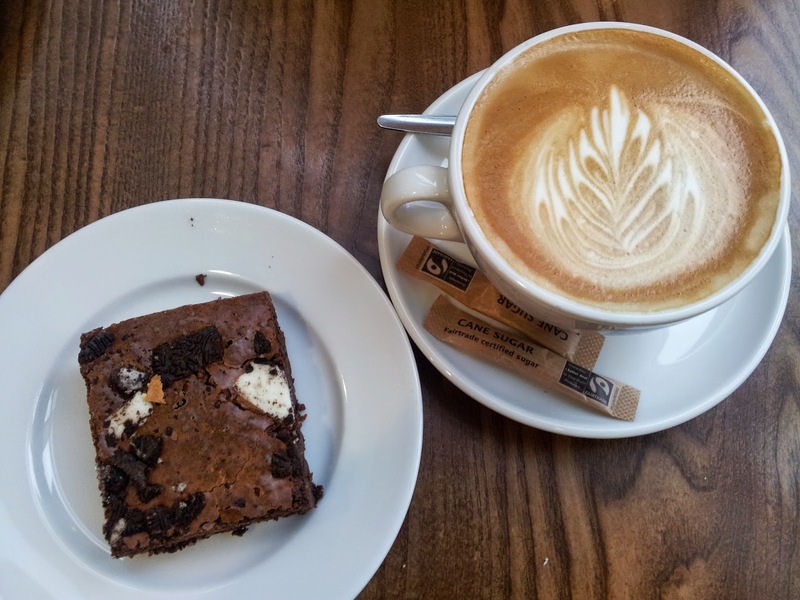 From one of my many catch-ups: Cappuccino and Oreo brownies, what's not to love?! Have a cold? It's not all bad! Hello there! How are you? It's that time of year again where everyone has suddenly caught a cold! Everywhere you go, there's someone there coughing or sneezing into their tissue. From my experience this is for a number of reasons. First of all, there's been such a dramatic change in the temperature! I don't know about you, but for the past few days I feel as if I've been living in December not October. Whether it be at work, uni, school, or even just going for a walk into town, you will be coming across a lot of different people, meaning a lot of germs flying around. You think that you won't get it? You're wrong. I take my vitamins, I have a flu jab, and heck I'm not even a fresher anymore, yet I still managed to catch 'fresher's flu'. I think another aspect that people don't usually associate with getting a cold, is being stressed or tired. I know personally that starting University again last week, left me feeling stressed and exhausted. The point of this post is not to complain, but to point out that if you are in the midst of a cold, there are actually good aspects to it! One of the best parts about being ill is the ability to be able to catch up on sleep. You've been run down for the past week through being so busy, but now you're so ill that you can't actually do anything, so go to sleep! There's a reason when you're ill that you can sleep for so long- your body is telling you that you need it. Last year when I was feeling poorly I went to bed at 18:30 and slept straight through to 9am the next day. Take this time while you're ill to just relax, you'll feel a lot better for it and by the time you are well again, you'll feel a lot more refreshed. I don't know about you, but I have certain films that I watch when I'm ill. Pick something that you love, and is easy going (nothing that you have to think too hard about!) and just sit/lie down and watch it. This is the main time that I properly sit down for any length of time to watch tv, and although midday tv is terrible, you don't think it is when you're ill! Be prepared to watch Bargain Hunt, Escape to the Country and Countdown. Like the films that you have seen a million times before, these programmes are great as you don't have to really think about anything and can just watch. Biscuits, cake, Lucozade...whatever you normally deny yourself, have it when you're ill! This will make you psychologically feel better as you are having a treat which you wouldn't normally have. This may even be a part of one of the previous points that I made about sleeping/watching tv, and what I also love to do is read those terrible magazines! There will always be something in there that makes you laugh and feel a bit better! Aren't they just the cutest? Have you got any tips to add to my list? Hello there! Don't these weeks just fly by? This week marked the beginning of my second year of University, and the end of all the free time that I had been used to. The good thing about starting this year, is that I actually know where every building is now (I can also convince myself that I can get to my next class within ten minutes although it's in a completely different building) and I actually know of most of the tutors that there are, so I was able to pick my seminars with confidence. On Monday before my lectures, I decided to try out yoga. It was alright, although the 'umming' (I'm sure there is a technical term for this) wasn't really for me. I will definitely be sticking with my Pilates instead! One aspect that has made my week is the fact that I have been able to spend time with my friends again on a regular basis. Quite a few are in my seminars with me, and it's nice to be able to lunch together if we have a spare hour in between. Wednesday brought about the fresher's fair, which in my opinion should really just be nicknamed the 'domino's fair'. There are a lot of stalls giving away free things, but what attracts most of the students is the free pizza! You can only get a slice on the day (although I'm sure you could queue up again) but you get a voucher for a free whole pizza. 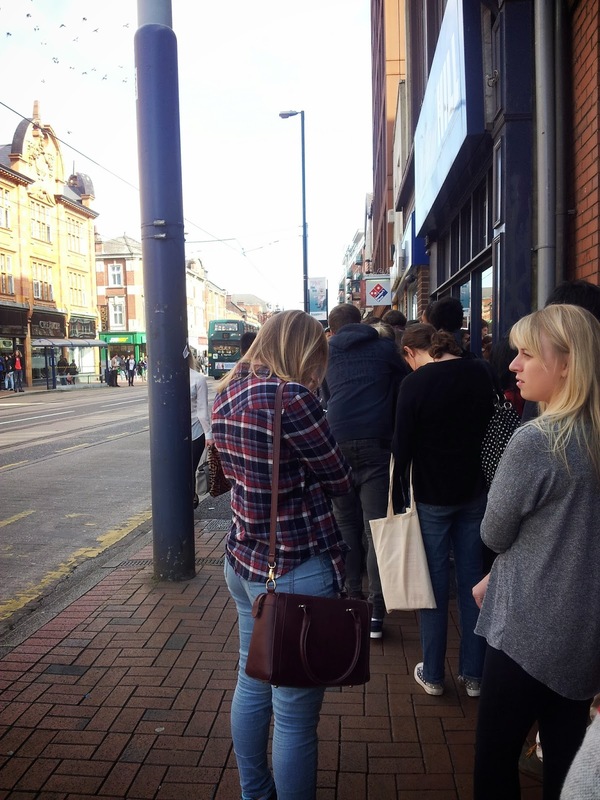 You know the reality of student living when you go the next day and see the queue of everyone trying to get their pizza. What students will do for free food! Within the fair Reesha and I got a voucher for a free hot chocolate, which we took advantage of! We've both been really busy recently so it was really lovely being able to spend some quality time together! I had bit of a bad day yesterday- the washing machine broke meaning that I had to hand wash all my clothes (it had soaked them but not actually washed them) and I also came out with a cold. 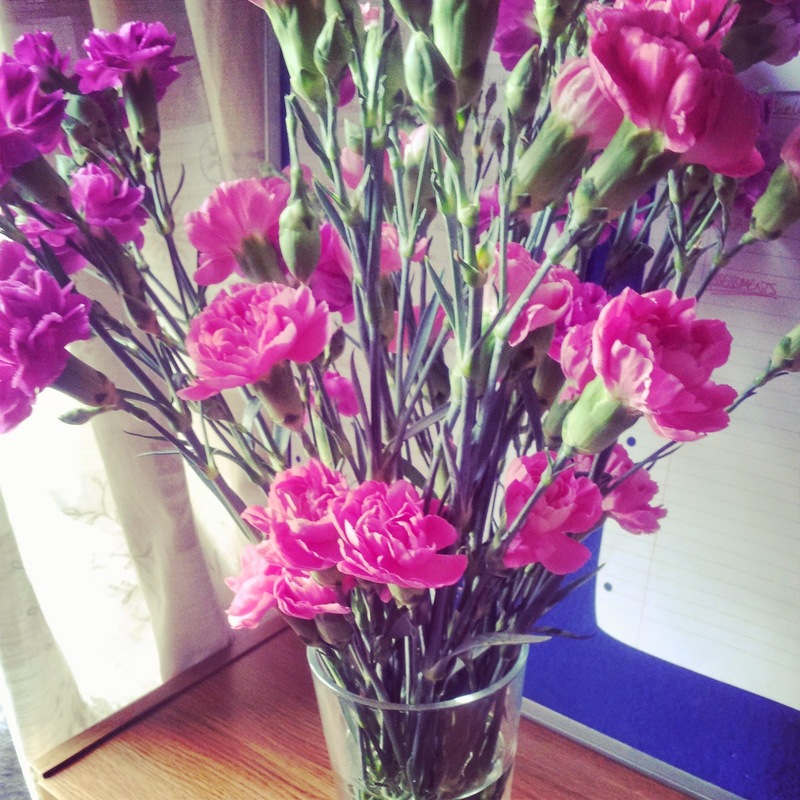 By some coincidence Phoebe was coming round in the afternoon and she brought me some flowers which was perfect timing! They were just what I needed to cheer me up. 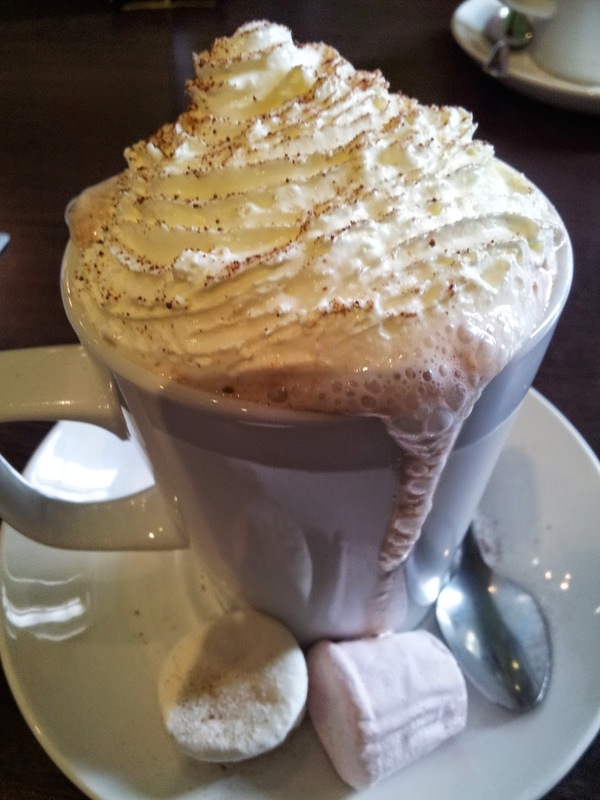 Hot Chocolates are even better when they are free! What students will do for free food. 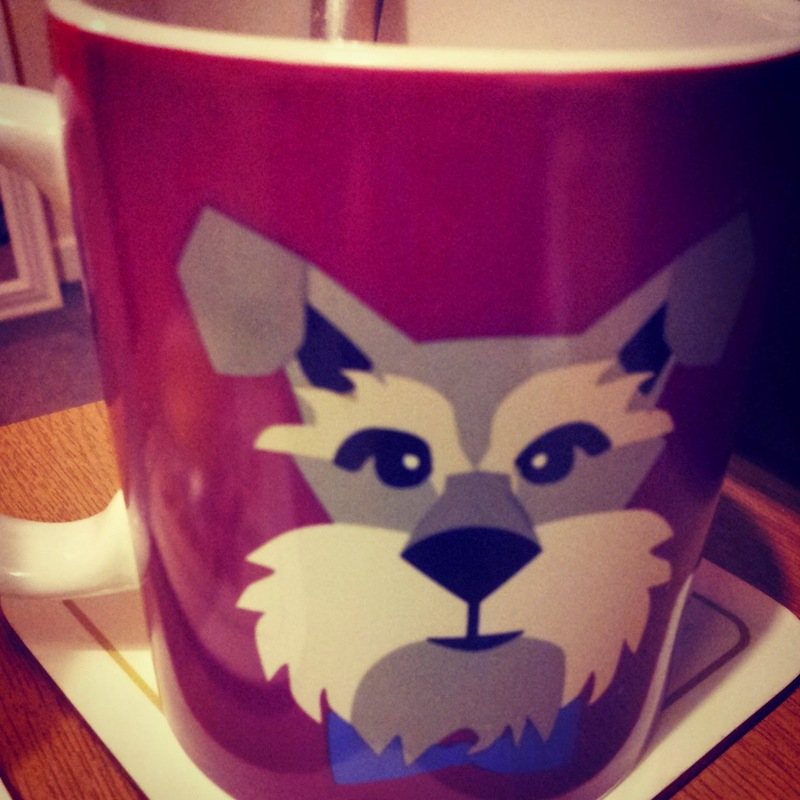 This was a lovely present that my friend Will got me!